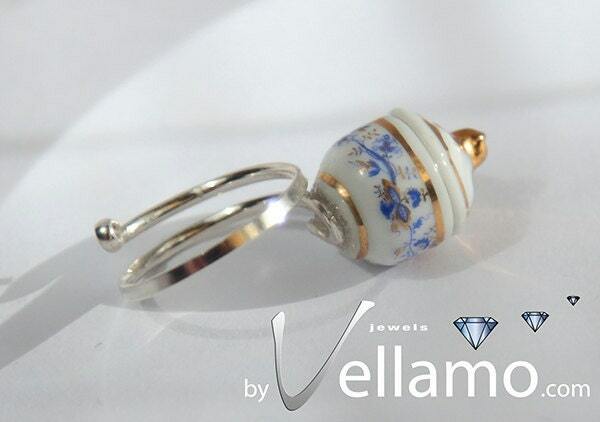 Sterling silver adjustable ring with beautiful porcelain sugar pot from miniature teaset, blue with gold rim, porcelain, fashion ring. Size of sugar pot: about 15mm. Beautiful fashion adjustable sterling silver ring.